About two weeks ago, I made a reading list for the very first time! I’m a little embarrassed to admit that but I’ve never ADORED reading. I enjoy it but will rarely make time for it. Well, since disconnecting our cable last week, I’ve discovered the perfect time to read…in the evenings after Bri is in bed. So far, it has worked out extremely well, considering I’ve already read one of the books on my list and am working on my second. 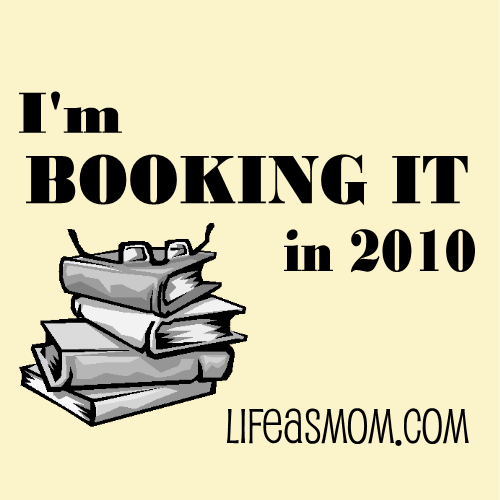 Here is what I hope to read in 2010. I’m especially looking forward to reading # 7-9, which I found on Life as Mom. By the way, if you have a favorite book or author, let me know because I’d love to either add to this year’s reading list or start 2011’s list! I have a terrible time randomly picking something to read and love suggestions from others. Good list. You know I will recommend books to you. We've missed you at M&M! One of the BEST books I've ever read is Lord I Want to be WHole, by Stormie Omartian. It's all about overcoming the past and moving forward into who God wants you to be. AWESOME.